Microsoft Excel is a powerful tool used by businesses of all sizes for storing data, performing calculations, and ad-hoc reporting. However, it's important to understand its weaknesses when it comes to running a business with Excel spreadsheets. 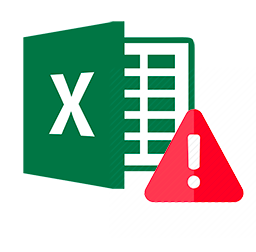 Excel is particularly vulnerable to human error since it relies on manual data entry. Due to an error in an Excel spreadsheet used to model risk, JP Morgan seriously underestimated the downside of its synthetic credit portfolio, which ultimately led to the bank to declare $6 billion in losses and lead to $920 million in fines. The errors stemmed from a combination of copy-paste mistakes and a faulty formula used to perform calculations. As the amount of data increases, performance suffers, and the visual interface becomes a liability instead of a benefit. There are also fixed limits on the total number of rows and columns in a worksheet. Originally designed for personal use and single user access, collaboration often means sharing the spreadsheet via e-mail or network share. With multiple people working on the same project, it’s challenging to control different versions and have a master set of data. Schedule a consultation to discuss migrating data from Excel to an open source relational database such as MySQL or PostgreSQL.